For the sauce: Mix mango, tomato, jalapeño, onion, cilantro, lemon juice and season with salt. Reserve in the fridge. For the burger: Season the salmon to taste. Grill them for 7-8 minutes on each side. Put a layer of spinach on one of the buns, place the salmon on top, put some salsa on and close with the other bun. Add more color and taste by adding black beans and corn. You can replace spinach with avocado. 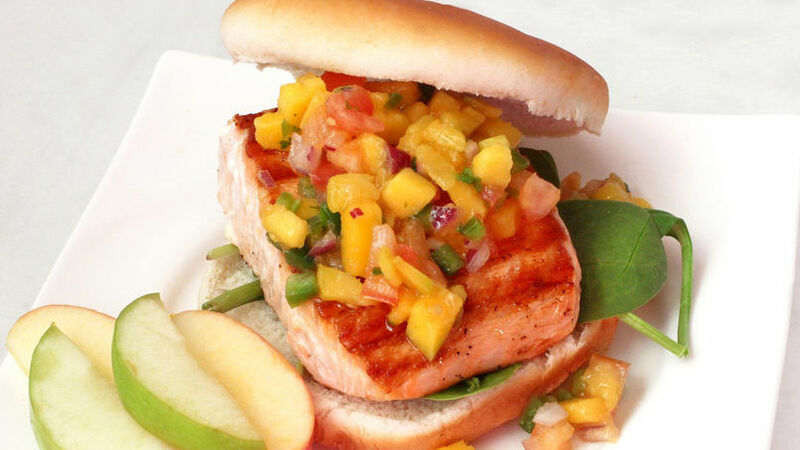 This salmon burguer recipe is quite easy to make, and everyone will love it! It will please your taste buds like never before! It's a great option for dinner or a light lunch.